Do some cultural sightseeing at Broome Historical Museum and SSJG Heritage Centre. Get outdoors at Dolphin & Whale Watching and Malcolm Douglas Crocodile Park and Animal Refuge. Spend the 11th (Thu) wandering through the wild on a nature and wildlife tour. Next up on the itinerary: pause for some serene contemplation at Catholic Diocese of Broome, admire all the interesting features of Gantheaume Point, and tour the pleasant surroundings at Cable Beach. For ratings, traveler tips, photos, and tourist information, refer to the Broome journey planning site . Brussels, Belgium to Broome is an approximately 26-hour flight. The time zone difference moving from Central European Time to Australian Western Standard Time is 7 hours. When traveling from Brussels in July, plan for somewhat warmer days in Broome, with highs around 35°C, while nights are about the same with lows around 17°C. Finish your sightseeing early on the 11th (Thu) so you can travel to Darwin. Escape the urban bustle at Fishing Charters & Tours and Magnetic Termite Mounds. Get a sense of the local culture at Adelaide River War Cemetery and Defence of Darwin Experience. Spend the 14th (Sun) wandering through the wild on a nature and wildlife tour. There's lots more to do: take an in-depth tour of RFDS Darwin Tourist Facility, take a tour by water with Boat Tours & Water Sports, and learn about all things military at Darwin Aviation Museum. Plan my Darwin trip by asking Inpirock to come up with tips and suggestions. Fly from Broome to Darwin in 6 hours. Alternatively, you can drive; or take a bus. The time zone difference moving from Australian Western Standard Time (AWST) to Australian Central Standard Time (Northern Territory) (ACST) is 1 hour. Plan for somewhat warmer nights when traveling from Broome in July since evenings lows in Darwin dip to 22°C. Wrap up your sightseeing on the 15th (Mon) to allow time to drive to Katherine. Katherine is a town in Northern Territory, Australia. Start off your visit on the 16th (Tue): explore and take pictures at Katherine Outback Experience, then see the world from above with a helicopter tour, and then tour the pleasant surroundings at Katherine Gorge. Get ready for a full day of sightseeing on the 17th (Wed): identify plant and animal life at Low Level Nature Reserve, witness a stunning natural landmark at Katherine Hot Springs, and then admire the sheer force of Edith Falls. To find ratings, reviews, photos, and other tourist information, read our Katherine trip itinerary planning app . Traveling by car from Darwin to Katherine takes 3.5 hours. Alternatively, you can take a bus; or fly. Plan for slightly colder nights when traveling from Darwin in July since evenings lows in Katherine dip to 16°C. Finish your sightseeing early on the 17th (Wed) to allow enough time to travel to Alice Springs. Alice Springs Telegraph Station Historical Reserve and Tjanpi Desert Weavers are good opportunities to explore the local culture. Get outdoors at Alice Springs Reptile Centre and Finke Gorge National Park. There's still lots to do: look for all kinds of wild species at Alice Springs Desert Park, explore the wealth of natural beauty at Emily Gap, take a memorable tour with Tours, and explore the striking landscape at The Emily and Jessie Gaps Nature Park. To find ratings, traveler tips, more things to do, and tourist information, go to the Alice Springs travel planner. You can fly from Katherine to Alice Springs in 4.5 hours. Alternatively, you can drive; or take a bus. Prepare for little chillier weather when traveling from Katherine in July: high temperatures in Alice Springs hover around 24°C and lows are around 3°C. Wrap up your sightseeing on the 20th (Sat) early enough to travel to Port Douglas. Visiting Agincourt Reef and Daintree National Park will get you outdoors. Explore hidden gems such as Spas & Wellness and Shannonvale Tropical Fruit Winery. Next up on the itinerary: don't miss a visit to St Mary’s by The Sea chapel, get to know the resident critters at Wildlife Habitat Port Douglas, and look for all kinds of wild species at Mossman Gorge. To see reviews, traveler tips, where to stay, and other tourist information, go to the Port Douglas trip itinerary builder . You can do a combination of flight and shuttle from Alice Springs to Port Douglas in 5.5 hours. Alternatively, you can drive; or take a bus. Traveling from Alice Springs in July, you will find days in Port Douglas are somewhat warmer (30°C), and nights are much warmer (20°C). Finish your sightseeing early on the 23rd (Tue) so you can drive to Cairns. Get outdoors at Trinity Beach and Nature & Wildlife Tours. You'll discover tucked-away gems like Spas & Wellness and Babinda Boulders. Get out of town with these interesting Cairns side-trips: Palm Cove Beach (in Palm Cove), Paronella Park (in Mena Creek) and Historic Village Herberton (in Herberton). Next up on the itinerary: look for all kinds of wild species at Australian Butterfly Sanctuary and admire the natural beauty at Botanical Gardens. To see ratings, where to stay, reviews, and other tourist information, read Cairns trip itinerary builder site . You can drive from Port Douglas to Cairns in 1.5 hours. Other options are to take a bus; or take a shuttle. In July, daytime highs in Cairns are 30°C, while nighttime lows are 20°C. Finish your sightseeing early on the 27th (Sat) so you can travel to Mudgee. Do some cultural sightseeing at Lowe Wines and Logan Wines. You'll explore the less-touristy side of things at The Drip Gorge and Distillery Tours. Take a break from Mudgee with a short trip to De Beaurepaire Wines in Rylstone, about 48 minutes away. There's more to do: do a tasting at SHORT SHEEP Micro-Winery. To see traveler tips, photos, more things to do, and more tourist information, go to the Mudgee holiday planner. Traveling by flight from Cairns to Mudgee takes 6.5 hours. Alternatively, you can do a combination of flight and car; or drive. Plan for much colder temperatures traveling from Cairns in July, with highs in Mudgee at 16°C and lows at 0°C. Finish your sightseeing early on the 30th (Tue) to allow enough time to travel to Hobart. Satisfy your inner culture vulture at Cascade Brewery and Mawson's Hut Replica Museum. Get outdoors at Fern Tree and Bonorong Wildlife Sanctuary. Explore the numerous day-trip ideas around Hobart: Port Arthur (Cape Raoul & Australian Convict Sites). On the 3rd (Sat), give your taste buds a day to remember with a local gastronomic tour. There's still lots to do: take a leisurely stroll along Constitution Dock, steep yourself in history at Hobart Convict Penitentiary, and go for a walk through Battery Point Sculpture Trail. 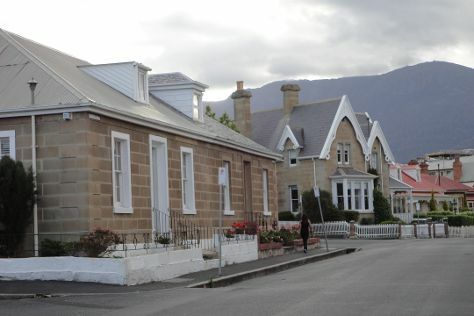 To see photos, traveler tips, and tourist information, you can read our Hobart online route maker . You can fly from Mudgee to Hobart in 6 hours. Other options are to do a combination of car and flight; or do a combination of flight and bus. Traveling from Mudgee in July, expect somewhat warmer with lows of 4°C in Hobart. Finish your sightseeing early on the 3rd (Sat) so you can travel to Port Campbell. Port Campbell is a coastal town in Victoria, Australia. Visit Johanna Beach and Wreck Beach for some beach relaxation. Step out of the city life by going to Mait's Rest and London Bridge. Step out of Port Campbell to go to Apollo Bay and see Apollo Bay Golf Club, which is approximately 1h 15 min away. Spend the 5th (Mon) exploring nature at Port Campbell National Park. 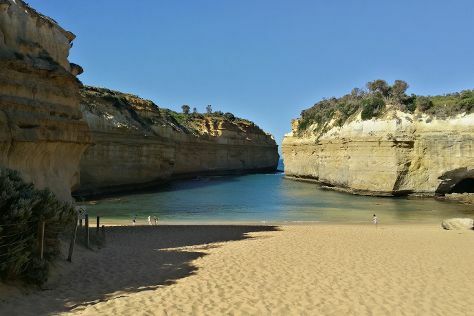 There's much more to do: explore and take pictures at Loch Ard Gorge, get great views at Twelve Apostles, and take in the dramatic natural features at The Razorback. To see maps, other places to visit, traveler tips, and other tourist information, use the Port Campbell trip builder . You can do a combination of flight, train, and bus from Hobart to Port Campbell in 10 hours. Alternatively, you can do a combination of car and ferry. Finish up your sightseeing early on the 7th (Wed) so you can travel to Clare. The town of Clare is located in South Australia in the Mid North region, 136 km north of Adelaide. You'll discover tucked-away gems like Sevenhill Cellars and Martindale Hall Heritage Museum. Get outdoors at Riesling Trail and Gleeson Wetlands. The adventure continues: learn about winemaking at Paulett Wines, contemplate the long history of Bungaree Station, and take in the exciting artwork at Vine Art Studio, Gallery & Therapeutic Massage. For ratings, other places to visit, and more tourist information, read our Clare online road trip planner . Getting from Port Campbell to Clare by car takes about 9 hours. Other options: fly. Finish your sightseeing early on the 11th (Sun) to allow enough time to travel to Exmouth. Exmouth is a town on the tip of the North West Cape in Western Australia. Take a break from the city and head to Yardie Creek and Turquoise Bay. 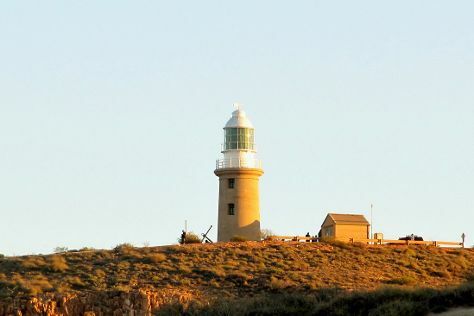 Get some historical perspective at Vlamingh Head Lighthouse and Potshot Memorial. Spend the 14th (Wed) exploring nature at Mandu Mandu Gorge. Next up on the itinerary: look for all kinds of wild species at Ningaloo Coast World Heritage Area, have unforgettable encounters with a shark diving experience, take an exotic tour of a safari tour, and cast your line with a fishing tour. For where to stay, traveler tips, maps, and more tourist information, read Exmouth trip itinerary app . Explore your travel options from Clare to Exmouth with the Route module. The time zone difference when traveling from Clare to Exmouth is minus 1 hour. In August, daytime highs in Exmouth are 31°C, while nighttime lows are 13°C. Finish your sightseeing early on the 15th (Thu) so you can travel to Margaret River. You'll discover tucked-away gems like Caves Road and Meelup Beach. Get outdoors at Dolphin & Whale Watching and Mammoth Cave. You'll find plenty of places to visit near Margaret River: Wise Wine (in Eagle Bay), Boranup Karri Forest (in Australia Plains) and Canal Rocks (in Yallingup). There's still lots to do: enjoy the sand and surf at Cowaramup Bay, stroll through Margaret River Mouth Beach, learn about winemaking at Redgate Wines, and explore the striking landscape of Cape Naturaliste Walking Trails. To see where to stay, reviews, traveler tips, and other tourist information, read our Margaret River trip tool . Traveling by combination of flight and bus from Exmouth to Margaret River takes 10 hours. Alternatively, you can do a combination of car, flight, and bus; or drive. Wrap up your sightseeing by early afternoon on the 24th (Sat) to allow enough time to travel back home.